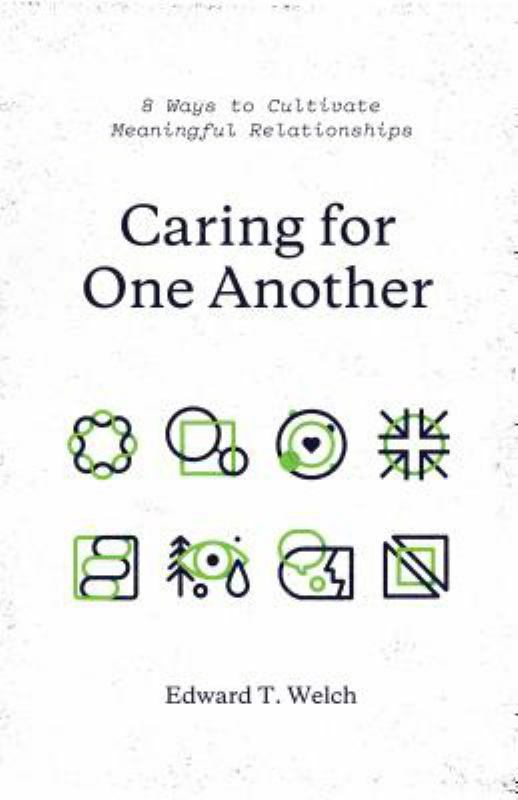 Caring for One Another is a short book, but one full of helpful insights into how to love and support your fellow congregation members in a local church context. Through 8, easy to read, chapters – called lessons, Welch paints an aspirational image of what relationships could look like and provides some practical steps based, in part, on themes throughout scripture of how to work towards it. It’s also clearly based on Welch’s experience as a professional counsellor and academic. What I particularly found useful in this book was the progression through the lessons starting at Humility through to looking at Suffering and Sin towards the end. This progression helped me to see my role in building Christ-centred community from both an internal and external perspective. Furthermore, discussion questions at the end of each lesson provided opportunity for reflection on how I could assist in caring for my fellow christian as we step towards the aspiration Welch tries to lead us to. There are many examples of how Welch sees this aspirational goal at work in community throughout the book. He writes of one such practical outworking, “When we hear about someone’s good relationships, we are blessed along with them. When we hear about hard relationships, we take notice, hope at some time to hear more, and ask how we can pray”. It is this give and receive approach that permeates much of the book – the understanding that we will all be able to offer support at times, and at other times require care. This symbiotic relationship, Welch successfully suggests, should be the natural position for people within churches. Welch doesn’t give any advice on how to care for others in specific situations. He does however provide some substantial building blocks on which to form responses to a variety of issues, from simple to complex. It is these informed responses that could be applied in many different contexts. In the preface, Welch suggests that this book is designed to be read in small groups or Bible studies. While I think this may be a helpful context for reading and discussing the contents, my experience of church life suggests that you would need key congregation members to model the attitudes and commitments in the book so they take root. For this reason, this book is a must for paid and lay leaders in any church. But also, this book would be great to read as part of a one-to-one discipleship program, if your church is running one. Some of the discussion questions move towards quite personal reflection which could lend themselves well to being discussed with a close christian friend. This in-turn would hopefully lead to the relationship bearing the fruit that the book desires, and overflowing to others as an example of Christ-centred love and care. With all this said, we know that this side of eternity we will fall short in loving and caring for our brothers and sisters. The discussion throughout the book is aware of that. Welch provides opportunities for self-reflection, assumably with the understanding that change starts from within – by the spirit. The ideal of Meaningful Relationships is a great aspiration and one that is desperately needed in all churches as we seek to both care for one another, and be a light of love and faithfulness to those around us so that they would see Christ and come to know his love (Matt 5:15). We all endure imperfect relationships in this life, but this book helps us to take substantial steps towards nurturing relationships that look more and more like the perfect ones that believers will fully experience when Christ returns. If you would like to support my writing, please head on over to The Wandering Bookseller (if you are in Australia) or Book Depository (rest of the world) to buy this book – both with free shipping!